Have you ever wondered why certain artists or songs go viral and achieve a cult-like following? What separates them from the millions of other songs and video uploads flooding the internet? Just imagine what the dramatic increase in exposure could do for your music career. If you’ve ever questioned why certain content spreads faster than others, this blog will offer insights to answer the questions of why we love to share and how to get more people to talk about your music. 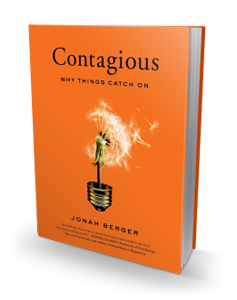 In his book Contagious: Why Things Catch On, Jonah breaks down the science and his research behind social transmission (aka social influence). He discovered that there are 6 core principles behind what makes something more likely to be shared by word of mouth. 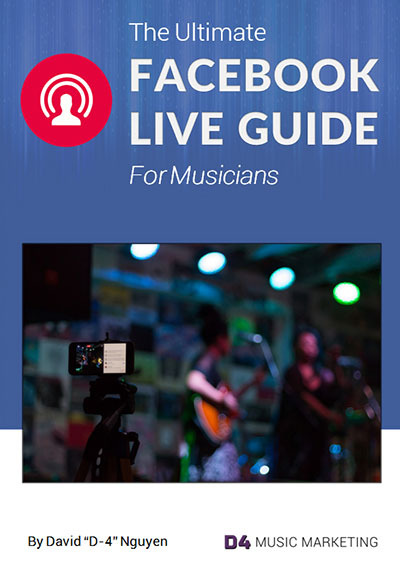 I wanted to “share” this information because I figure these principles could help musicians out there improve the sharability of their music to increase exposure. After all, the most effective type of marketing is when you have others recommending your music through word of mouth. One of the most effective forms of marketing is word of mouth. In our digital and cyber world, it’s easy to forget the power of offline word of mouth. Online viral sharing is great, but research has shown that plain old word of mouth is the primary factor behind 20% – 50% of purchases and at least 10 times more effective than traditional advertising. When it comes to discovering new artists, it’s no different. The reason why word of mouth is so effective is because often times recommendations you receive are coming from people you trust. Verbal word of mouth tends to be more honest, credible, and targeted, since it’s naturally directed towards an interested audience, which is why it’s still one of the top ways we learn about new music.. I don’t know about you, but a lot of the artists I have come across came from recommendations from other people. Word of mouth marketing is important because it taps into a natural behavior we all like to do, which is share. We like to share because we are hard- wired to find pleasure in self-disclosure, but this goes beyond just vanity. We share our thoughts, opinions, and actions because it helps us connect to others. After all, humans are social creatures looking to connect, so revealing information about us is intrinsically rewarding. In addition, sharing can be seen as a tool we use to manage our public persona and achieve favorable impressions from people around us. This applies to in person and online. There’s a misconception that word of mouth mostly happens on social media. As valuable as online sharing is, when it comes to word of mouth marketing, social media falls short. Despite having a stronger potential to reach more people, only 7% of word of mouth happens online. Competition for attention is high on the internet, and that makes it more difficult to stand out from the clutter. Now the ultimate question is, how can musicians and artists improve the sharability of their content so people are more likely to tell others through word of mouth? The guidelines below will break down the principles you need to know to create share-worthy content. The 6 research based principles that are identified in Jonah Berger’s book Contagious are listed below. The author uses the acronym STEPPS (the first letter in each principle) as a handy method to help you remember them. Applying these principles will improve the chances your music or videos gets shared and talked about. Of course, there’s no guaranteed formula to going viral. It is not a recipe, so not all principles are needed. However, the more the following principles are used together, the greater the chances are of you and your music becoming contagious. Whether people want to admit it or not, we share things based on how something will make us look and how others will perceive us. Social currency is measured by how good or valuable it makes the person who shares the content appear to the other person. After all, the choices we make, like what we choose to share, signals our identity. It is a reflection of how we want to be perceived. The idea behind this principle is that your music or video needs to have something about it that makes the person who shares it look good. What you create needs be inherently cool, interesting, funny or surprising so that it makes it worth talking about. 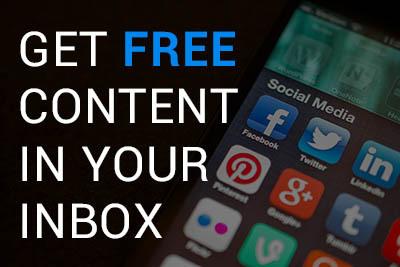 Your content is only as good as how the person who shares it feels it makes them look. As you would imagine, I was wrong. It was totally not what I expected. And for that reason, I was inclined to share it with my friends to get their reactions. Social currency doesn’t always have to be so out of the ordinary, but it definitely helps a lot. Recommending a hot, new upcoming artist can make you look good too (social currency) by giving off the impression that you are in the know about music. If you want people to talk about you more, you need to be associated with the right triggers. A trigger is a stimulus in the environment that prompts people to think about related things, products, or ideas. These triggers can influence people consciously or subconsciously to talk about specific things. Triggers naturally boost word of mouth by sparking your songs or videos to be top of mind. Take Rebecca Black’s song, “Friday” as an example. It became a viral meme when it first came out. The song was so bad that it became a joke to be shared at the end of the work week. It made the people who shared this video come off as light hearted and having a sense of humor. As you can imagine, the reason why it became so viral (over 100 million views) was because it has social currency and it was triggered often on Fridays. Triggers are all about the association. If your songs or videos can be associated with the right triggers that make sense for your content, it’ll have a greater chance of being talked about and shared. Whenever something invokes strong emotion, it is discussed and shared more frequently. People that consume the content develop an emotional connection to it and share it with others to pass those emotions along. We are more likely to share content that sparks some emotional response, because it helps us connect and relate with other people. Simply put, when we care… we share. When designing content, don’t forget the emotional element. Positive and negative emotions can increase your shared amount, whether it gets people to laugh, inspires us to be confident in ourselves or even invokes anger. The book does a great job going into details about which types of emotions are the best for getting people to share. As long as you can really move someone with emotions, you can drive them to action and share that experience with others as a form of social currency. The easiest example is a really funny music video. The one that comes to mind is Psy’s Gangnam Style, which is currently at 2.7 billion views. Not only was this music video hilarious, it had a distinct dance that leads into the next principle. When there’s a public element involved in content, it is more likely to be triggered and imitated. Making actions observable makes it easier for people to copy. Have you ever taken out your phone because you see other people around you scrolling? You’re copying their behavior, most likely subconsciously. To make this principle work for you, design content that is visible off the screen, like a trademark dance move, a signature style (Justin Bieber’s hair) or tangible fashion statements. Take the LMFAO’s viral hit Party Rocker’s Anthem. I would imagine what helped this video hit over 1.2 billion views had to do with the dance (shuffling). Think back to the principle about triggers. Things catch on based on what others see and want to imitate and, thus, validate themselves. We conform and imitate in times of uncertainty. This is why we use what we observe from others to helps us make decisions, also known as social proof. What we can observe is a form of validation, or herd mentality, and we feel more comfortable following in the footsteps of the people in front. Having a long line outside a music venue will give people the impression that artists performing there must be popular, so we get curious and are more inclined to wait in line. This principle may be the least common and hardest to put into practice, but public visibility is powerful as a trigger for boosting word of mouth. Content that has practical value means it meets some need or want. If I were to show you a quick way to tune your musical instruments, it would provide practical value in the form of solving a problem and you saving time. Basically, when your music or video has practical value, it does a good job of satisfying some problem, need or want. For example, say you went through a breakup (a trigger), and you needed a song to get you through. I share a good breakup song (one listed below) that I feel you could relate to (social currency). You will find practical value in it because it is meeting an emotional need. As a musician, all this principle is saying is you need to put out of some value if you want people to share it. I know sounds super obvious but something that is good is not always easily defined. Providing practical value by satisfying a need or want through your content will increase the chances it will be shared or and talked because of its usefulness. Stories are powerful vessels used to transmit messages and information. Not only are we physiologically receptive to a good story, we also love telling them. A great analogy that is used in the book is thinking of stories like a Trojan Horse. In order to make this principle work for you, you need to know the elements of a good story and incorporate them into the narrative of your content. More importantly, the deeper message inside your story or narrative needs to relate to you or your brand in some way. This is what is inside the Trojan Horse. If people are receptive to your content through the story and share it, you want to make sure that how it benefits you is relevant to your brand. Of course, not any story will work. It needs to be related to what you are about and reflect your brand as an artist. The story used in your content don’t necessarily even have to be about you. They can depict someone you know or even a fictional character. This principle is really about telling a narrative in your content that contains story elements that will engage or resonate with your audience. At the center of the story or plot is a message that should somehow connect with you or your brand. Here’s a great song and video that I think does a wonderful job of presenting an honest narrative with a powerful message inside it. However, what I think made this video viral was the presence of the other principles I mentioned above: triggers (gay rights, which was hot topic when this was released), social currency (it made people who shared it give off the impression that they were supportive of equal rights for gays) and emotion (love and acceptance). To be clear, this principle isn’t necessarily about how to tell your own personal story as a musician. Although personal storytelling is important for your brand, you really have to think about stories from the perspective of the listener or audience. After all, the point is to incorporate elements of a story that will resonate and motivate others, because then it can serve as the social currency for the person that shares it. That is how your message gets spread and should ultimately lead back to you. Learn how to tell a good story through your content and you’ll have a better chance of your message being shared. Going viral is no easy task. However, you should be better equipped to produce content that is more likely to be talked about and shared so you can increase exposure for your music and hopefully win over some new fans. If you need additional guidance, I highly recommend reading Jonah Berger’s book Contagious: Why Things Catch for examples and a more in-depth look at the research behind these 6 principles. Best of all, it is an easy and relatively short read.